Three cheers for the long weekend and short week! I hope you had/have a good one! 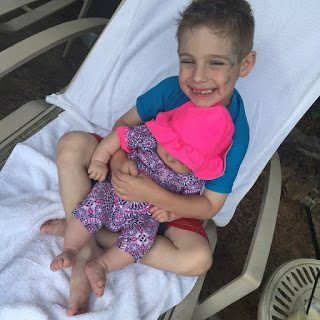 It helped us transition into the summer vacation that I swear snuck right up on us. But, we were lucky to have a few really nice, sunshiny days this weekend to go to the pool, which made it start to feel like summer. Mama even got herself a pina colada. #whoa! 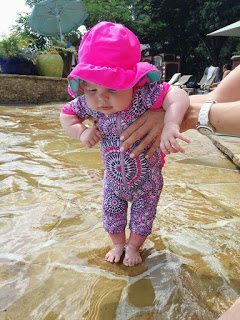 And Jordan dipped her itty bitty toes into the water for the first time. I just died over her in this swimsuit and hat! Too cute!!! I’m paranoid she’ll get too much sun on her delicate newborn skin, so she was only out of the shade for a few minutes. James came from Comic-Con so he still had the remnants of Wolverine on his face. After that trip to the pool in my lil bikini (that’s all I have! ), I went home and ordered a bikini a bit more modest (couldn’t find the color combo aqua/orange online, but it’s this halter style) and a one-piece! I hope the one piece fits and looks flattering. I’ll let you know, but my email said it might not come until early July! I think I’ll feel much more comfortable with the kids at the pool in one of those suits though. On Memorial Day, I did a giant food prep that I’ll share with you next week. I joined the world of snapchat so I could interact more via video, so you if you’re there, you can see a sneak peek, I’m @honeywerehome. I joined snapchat maybe a year ago, but didn’t know how to use it and isn’t it only for the young kids?!?! Well, make room for mama! I’m still learning, but so far I like how instantaneous it is and how I can just quickly post a short video clip to share with you instead of waiting for a blog post that that usually takes me so long to put together. Are you on snapchat? What are the tricks?? 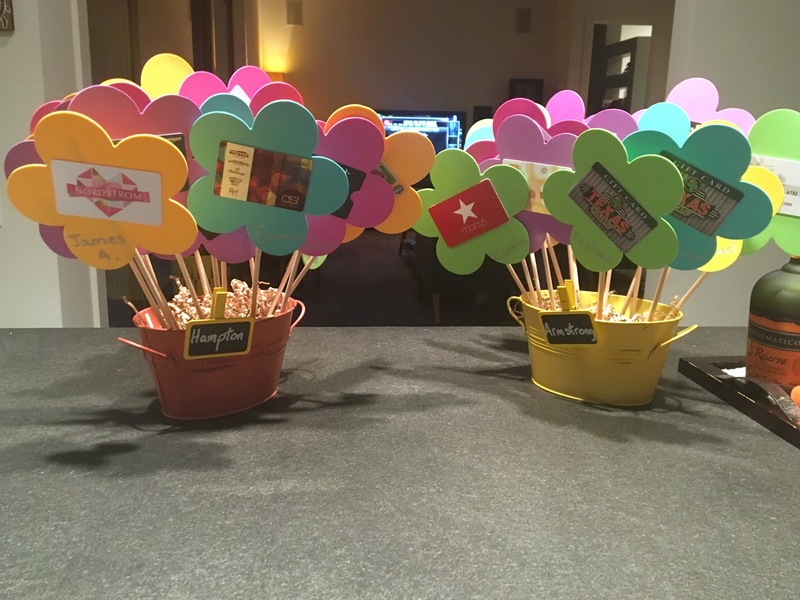 For us, school ended last week, and along with the classroom parties, the Spring concert and kindergarten graduation, we had to make sure we didn’t forget to thank our wonderful teachers with a gift from all the parents. 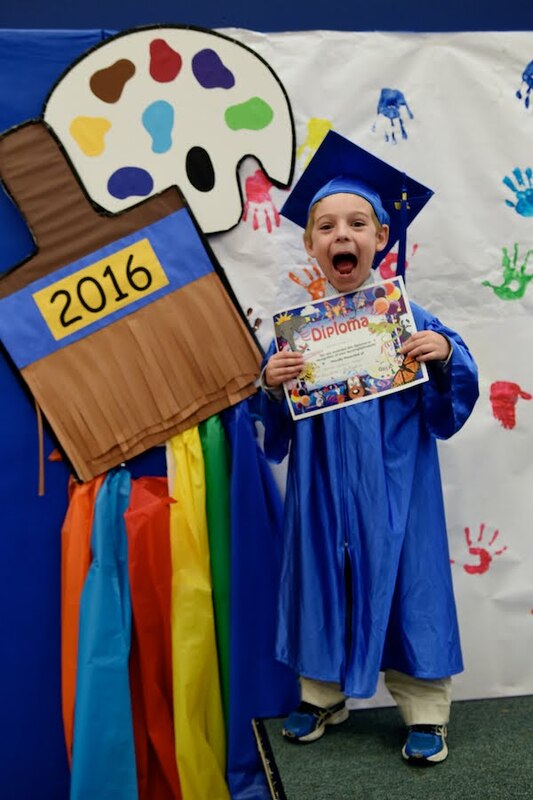 How happy is James to get his diploma?! Although he kind of sighed later, “I’m gonna have soooo much homework in 1st grade!” ha! I’ll share what we did below, but what really blew my mind was what my friend Jamie made for her two sons’ teachers, for only $12, plus paint! Talk about some creative talent! Jamie and I served on our school’s PTO for the last two years together; she was VP and then President and I was the Secretary. 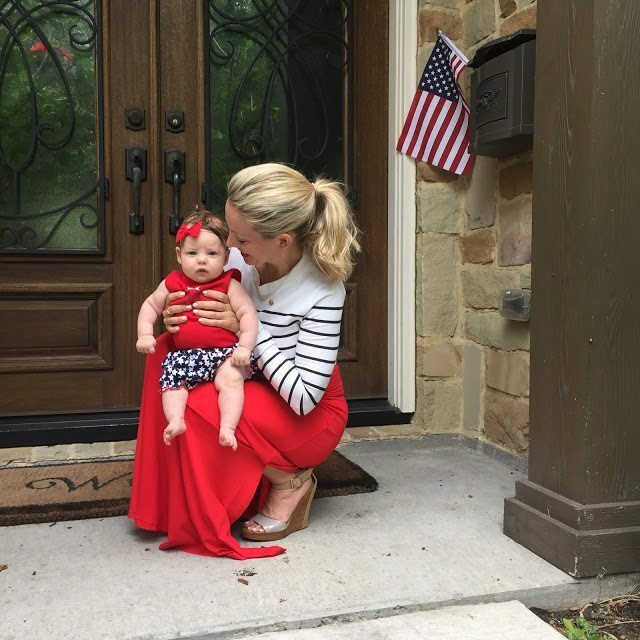 I hung up my Secretary hat recently, but despite working full-time, coaching basketball, building a home, and raising two boys with her hubby, she’s going to be President for another year! I’m tired just typing that! Over the years, I’ve seen her creative projects at work as she’s made the coolest signs and other things like that for the school, but I’m particularly smitten with this teacher gift. 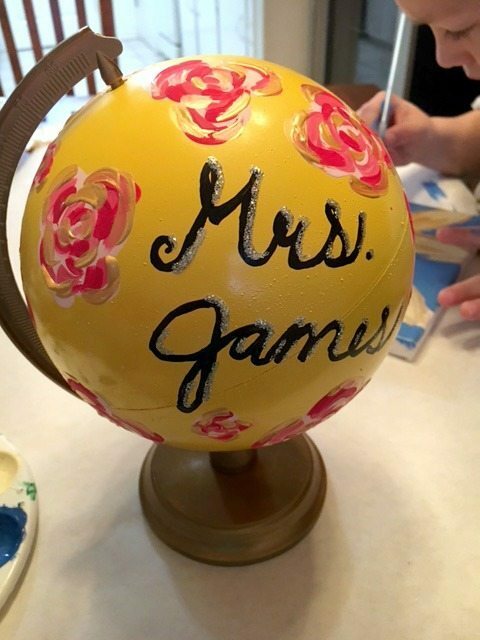 She turned an ordinary mini globe into precious, personalized works of art with some spray paint and craft paint. I love how they turned out! Steps 1 & 2 : Disassemble the globe in preparation for spray painting. 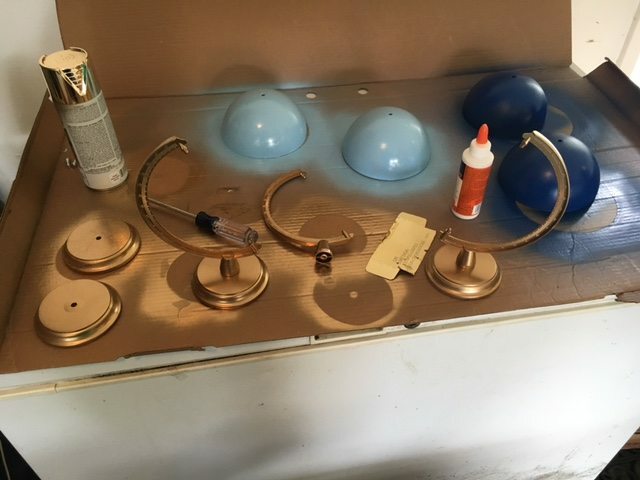 Spray paint the base gold. 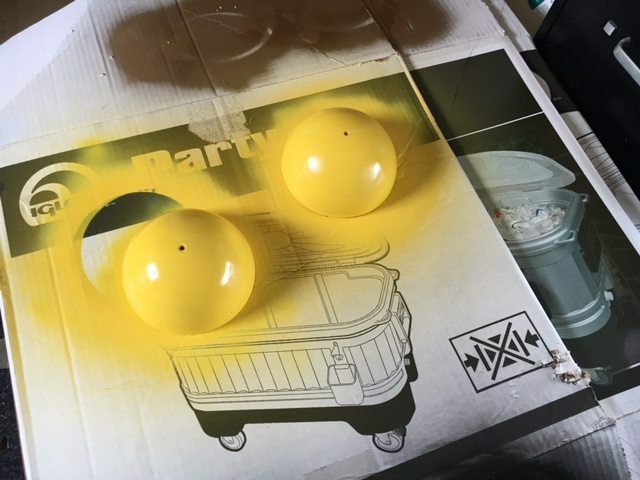 Step 3 : Spray paint the world the color of your choice. Let dry. Step 4 : Reassemble your globes. Step 5 : Use a paint pen to write your words. Step 6 : Use craft paint to make the flowers. Make a floral shape with the paint, and then layer in complimentary colors. Step 7 : Use craft paint to make the leaves. What a wonderful gift to receive! They remind me of those expensive painted globes that Anthro was selling for $198! 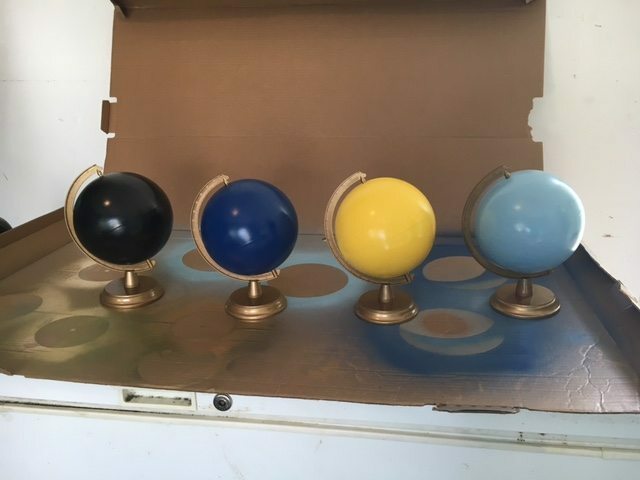 These only cost $12 for the globe, plus the paint supplies! Jamie, you are one creative and talented mama! I could see these going in a kids room with a heartfelt saying, poem, storybook line, Bible verse, or the child’s name. 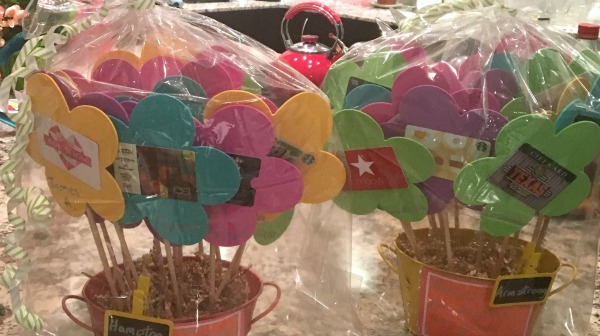 We know that teachers love gift cards, so our class homeroom mom (thanks Begonia!) collected all of our giftcards and created a gift card bouquet to present to the teachers on the last day of class. We had help learning what their interests were by having them fill out a one-page form with all of their favorite restaurants, hobbies, etc. when school started. When does summer start for you? What are y’all gonna do? 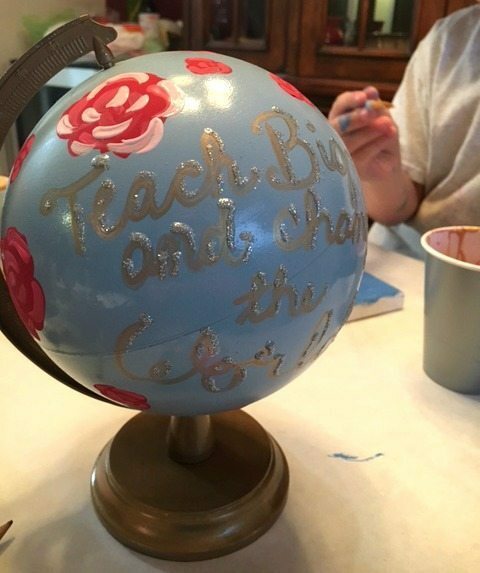 I'm a social studies teacher and would love it if one of my students gave me that globe! Too cute! She is so cute in that little suit and hat!! And congrats to James. 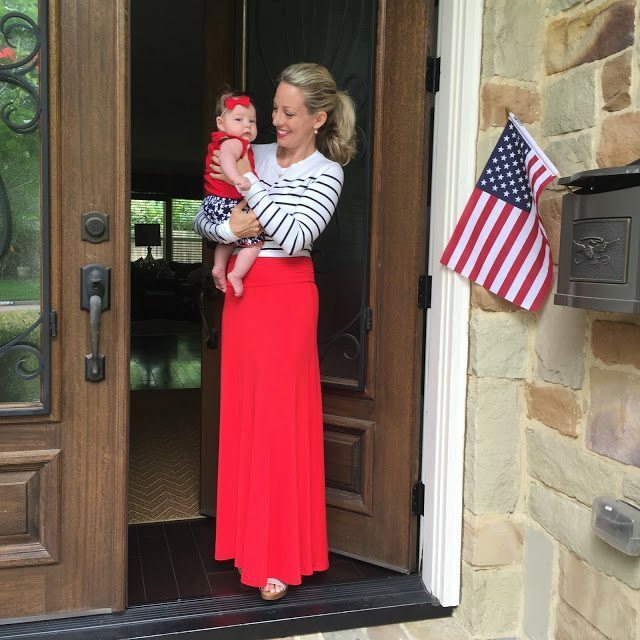 You look amazing in the red maxi outfit!!! And she's almost about to outgrow it already! She's quickly getting to 6 months sizes! I'm obsessed with snapchat! So no, it's not just for kids! My husband even loves it. My siblings, parents, and even one of my grandmas is on snapchat! When the kids at our church found out I was on snapchat they did tell me I was the only grown up they knew on snap chat, though. I just added you! My user name is O.C.D. if you want to follow back! I love it for much the same reasons you do- it's like super fast mini video blogging about whatever is currently going on. Those globes are so cute! Love it! I also love the giftcard bouquet! Your teachers were spoiled! Our teachers are so special. I couldn't be happier with how this year went and how much our son learned! I love the bathing suits you ordered, especially the one piece. Please let us know how you like the fit!! Where did you purchase your globes? Hi Megan, there's a link in the post where it says "supplies"- they were at amazon! 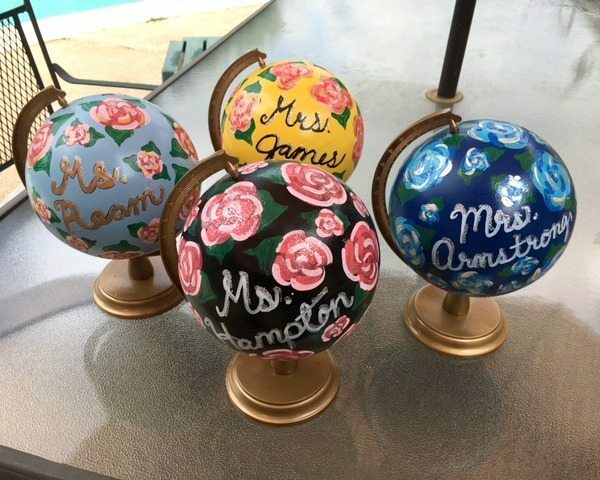 These globes are so cute! I might have my kids make these. Thanks for the inspiration! Where did you buy the globes? I love this idea!!!! Amazon has them but they are like $30!! Too expensive!! These are adorable! I’m curious what you wrote on the other side of the globe… teach big and change??? My daughter wants to make one for her teacher, thank you for the great idea!